Nigeria’s former Senate President, David Mark, on Sunday slammed the anti-graft agency, EFCC, for levelling unfounded and senseless allegations of fraud against him. The Nation newspaper had reported earlier in the week that the politician was a guest at the anti-graft office and was grilled by detectives. 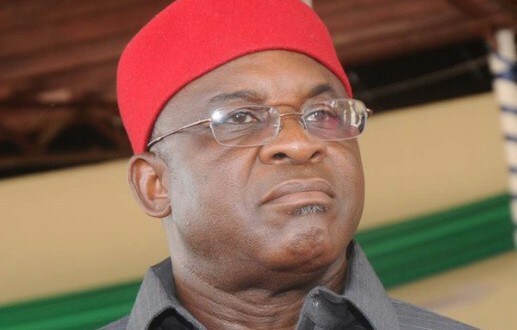 Mr. Mark confirmed being invited by the EFCC in a statement signed by his media aide, Paul Mumeh, on Sunday. He said he fielded questions relating to 2015 campaign finance for political activities in his home state of Benue. But he was particularly baffled about another question that bothered on alleged bribery of all Senate members in 2010. Mr. Mark was Senate President from 2007 until 2015 when the All Progressives Congress took control of the legislature. He said they alleged that the Peoples Democratic Party (PDP) paid over N2 billion into a bank account run by the National Assembly during his days as the president of the Senate. “Again, to the best of his knowledge, Sen. Mark is not aware of such transaction. This simply did not make sense to any right thinking member of the society. “Sen. Mark wondered why anybody would think that PDP will pay money into National Assembly account. He however clarified all the issues raised before returning home,” Mr. Mumeh said. The probe, which has seen several former ministers and top administration officials under Mr. Jonathan arrested within the last 30 months, has been deemed by critics as lopsided and an attempt to smother opposition. This is because law enforcement agencies are believed to have refrained from probing or arresting persons associated with Mr. Buhari or the ruling All Progressives Congress.